Mosta is a town situated at the centre-north of the island of Malta, to the north-west of Valletta with a population of just over 19,000 (2010) making it the 3rd largest locality within the Maltese Islands. Mosta originated as an rural village with an small community of farmers, Archaeological finds date it to pre-history making it one of the oldest settlements on the islands. This was partly due to presence Wied Il-Ghasel, of one of Malta's most important valley systems: a source of fresh water and adjacent stretches of rich, fertile soil. This is the only place in Malta where a valley crosses through the centre of the town. To read about the origins, history and meaning of Mosta's emblem, please click the image above. It was reportedly the stronghold of Mosta during the late Middle Ages. It is presently owned by the Contessa Preziosi, the daughter of the late Barone della Quleja. In a report of his Pastoral visit in 1575, Monsignuer Dusina refers to Mosta as a parish, but this status was only officially proclaimed in 1608. This called for the immediate building a new church on the plans drawn by Tommaso Dingli. The present church is based on the plans of George Grognet de Vasse, a French expatriate. Mosta residents, at that time totaling not more than 1500, built this spectacular church by their own hands. It was completed in 1871 after 27 years of hard work. Domes are particularly demanding structures since they constitute a self-supporting structural element of architecture that resembles the hollow upper half of a sphere. And the Rotunda is the third-largest unsupported dome in Europe and the ninth-largest in the world with a diameter of 36.6 metres (120 feet). It is also interesting to note that Grognet inspected stone samples from quarries all over Malta in order to chose the most durable type of stone available. His choice was a quarry known as Ta' Vnezja, at the very outer periphery of Mosta, and in the immediate proximity of what later became the gate of a WWII RAF airfield in Ta' Qali. The dome itself is significantly linked to world war two. 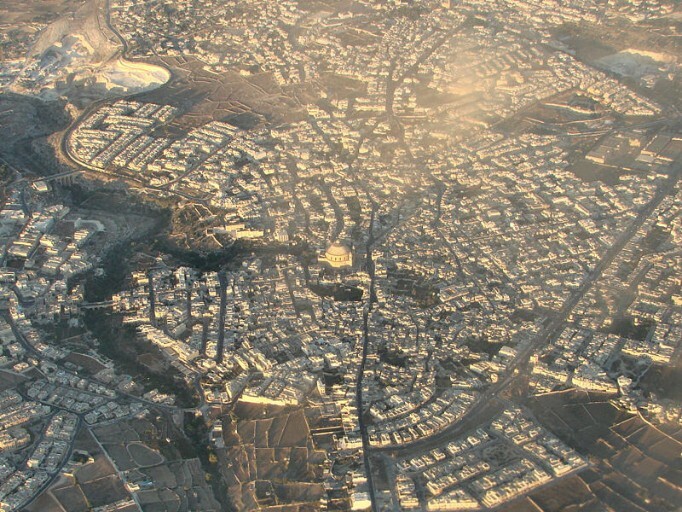 The proximity of Mosta to Ta' Qali made this town vulnerable to attacks by Axis aircraft. This resulted in one of highest casualty rates in Malta, particularly since it was packed with refugees from the harbour area in the south. Most of these deaths were civilians, and many of these incidents were a ripple effect of the harsh battles being fought in the air around the RAF airfield. A number of aircraft from both sides fell in and around Mosta, however the most noteworthy incidents concerned the bombing of the Rotunda itself and the tragic deaths of several civilians in an underground shelter. The Rotunda bombing was not an intentional act of destruction, and the aircraft concerned was aiming for the RAF airstrip. Things got complicated as the bomber came under attack, causing an immediate abortion of the mission. Attempting a homeward dash, the crew jettisoned their bomb load. The 5 bombs fell right in Mosta centre with one piercing the dome. None of them exploded since none had their detonating fuses set to do so. Upon complete de-activation and removal by the Army, the original bomb that fell into the church was removed, but the iconic significance of the bomb's failure to explode amidst a large congregation of between 300-400 people demanded that a replacement bomb be put on display within the church. This may still be viewed in the sacristy. The other bombs fell just in front of and around the church. One of these was recovered some 15 years ago when the old main road was rebuilt. Since it was dug up properly for the first time, to install rain water culverts and build a solid base, the bomb was found just in front of a well known bar (Is-City). Up till the late 1980s, another of these bombs was still sticking out from the soil of one of the gardens belonging to the large old houses flanking the Rotunda. The shelter tragedy occurred when an RAF fuel dump full of aviation spirit was hit during an attack causing the burning fuel to pour through several streets of Mosta. A public shelter situated in the vicinty became a death trap after collapsed masonry from the attack blocked both its entrances. The burning fuel cascades down the stairs killing all down below, in what is probably the worst civilian incident during Malta's days at war. The feast of Saint Mary the Assumption, to whom the church is dedicated, is celebrated annually on the 15th August. There are some 13 other chapels in Mosta, several of which from the late medieval period or the Knight's era (1530-1798). Two of these are situated in the valley itself. Both have an interesting legend tied to their origins. Speranza (Hope) Chapel, was built between 1760 and 1761. The story concerns a young girl and her sisters tending their family's sheep who suddenly found themselves in danger when an advance party from a Turkish incursion came their way. Such raids were not uncommon and all caught were either taken into slavery or killed. Whilst the sisters escaped, the little girl couldn't run very fast due to a limp. It is said that she hid in a cave (now situated under the Chapel, on its left side), and that she prayed to Our Lady and vowed she would build a chapel on the spot if she was spared. Several spiders started weaving webs over the opening of the cave. When the chasing Turks came across the cave they noticed the webs across the entrance and determined that had the girl hidden herself there, the web would not intact, and sped on. The girl then raised funds to build the chapel and fulfill her vow. Another popular folktale concerns the legend of a Mosta Bride (L-Gharusa tal-Mosta). A public garden annexed to what was formerly the Malta Civil Defence School & HQ bears this name. The buildings now house the Art & Design (Post-secondry) College, (MCAST). Another well known feature related to popular and religious culture is the Good Friday procession. There are two band clubs and two fireworks factories in Mosta. All these societies add much life and colour to the various events that dot the socio-parochial year. Mosta is an important hub within a massive defensive structure built during the late 1800s by the British and aptly named "The Victoria Lines" Fort Mosta is still managed by the military, and is the Armed Forces of Malta's (AFM) ammunition store. The top part also houses the Police Force Dog Section. An impressive military and architectural feat, it also enjoys a beautiful wide angle view of the low land that sprawls beyond the geographic fault. It runs across the width of the island and was fortified by a series of forts and batteries interconnected together with long stretches of defensive walls. This was done to take advantage of the natural fault and to serve as a front line in case of an invasion on the northern coast. This was due to the geographic and topographic character of the northern part of the island not allowing long term defence in this area. In the Mosta area the fault is known as Targa with areas overlooking it bearing names such as Targa Gap or San Guzepp tat-Targa, in Mosta & San Pawl tat-Targa in Naxxar. In English the word Targa, pronounced Tarja, means step. Mosta is also an important hub when it comes to business, commerce and shopping and a large open-air market is present every Monday morning. The town thrives with many local associations and societies and has its own scouts and girl guides. The historical farmhouse of Marquis Mallia Tabone now houses the Philanthropic Society ‘Talent Mosti’ which is run in collaboration with the adjacent school's council. The farmhouse overlooking the valley of Wied il-Ghasel in Mosta was the property of the noble family of the Marquis Mallia Tabone and today houses various exhibitions which are held over the entire year. Exhibitions vary from paintings, photography, artisan work, hobbies, etc. Literary & other cultural evenings are also frequently hosted here giving the opportunity to both budding and established writers, artists and musicians the opportunity to display and share their talents. Along with many other local organisations, this society too is run by volunteers. More info and images pending upload. The following section is due for a complete overhaul. The place-names below shall soon have thumbnail images that link to separate webpages for each item, with images and descriptions. Anybody wanting to contribute images, photos, postcards, books and pamphlets about Mosta and its surroundings is most welcome to do so. We are currently putting together an archive with the intention of documenting, studying and presenting a detailed history and database of our town. This project is being carried out with one of our partner organisations, namely the Archaic Archives (Malta). This foundation is currently focused on building Malta's first virtual museum relating to Maltese history through the study and presentation of considerable amounts of material bought and acquired over more than 20 years. This foundation is also based in Mosta. HPM shall soon be introducing a photo competition to commemorate its 7th year of existence. We are also planning a historical exhibition commemorating the 70th anniversary of 1942, peak of the war in Malta, and year of the Mosta bombing. More information about this pending upload later on this month, as works on our expanding our website develop. Thanks to all those who are supporting HPM in one way or another. Our existence is only possible with your help and appreciation.